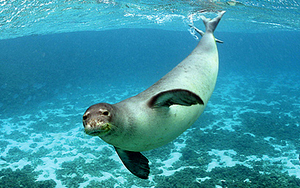 Thank you for taking action on "Defend Habitat for Hawaiian Monk Seals." Your comments have been submitted to the National Marine Fisheries Service. Noted and signed. Thank you Lindsey. So gladly signed, Thanks Lindsey. Noted and message sent! Thanks Lindsey!! Its very important to sign petitions like these, this shows all the others that killing innocent animals will not be allowed by all those who really care about all living creatures!! Signed and noted! Thanks Lindsey!